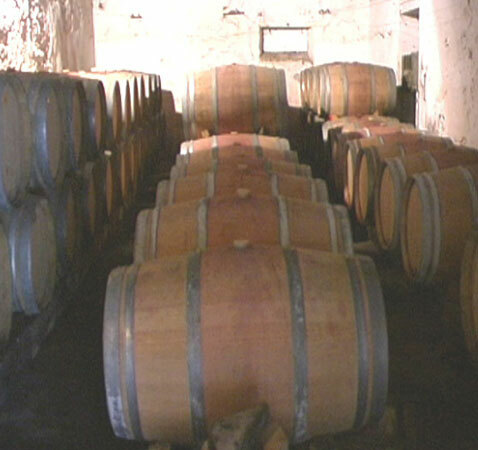 In Concrete Vats Storehouse, in stainless Vats Storehouse, in Barrel Storehouse or in Tuns storehouse, the Coureau's wines are vinified based on various existing methods, thus always guaranteeing uniqueness and quality. > At le Château du Coureau, modern technics are used to keep up with technical progress. For the red wines, after a 18 months conservation in barrels, wines are placed in Concrete Vats Storehouse to make assemblies for homogenization before bottling. > Only wines kept in tuns inherit a certain character. 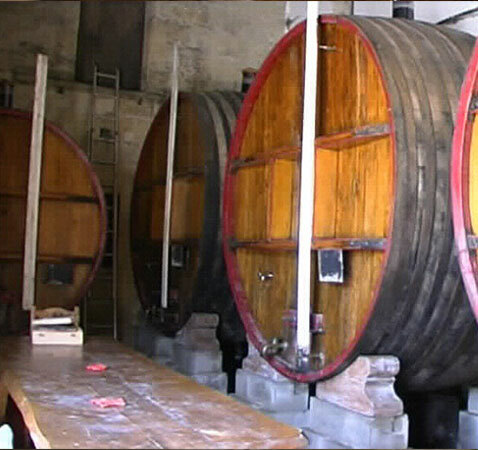 This method allows a perfect preservation for wine maturity and its aroma development.. 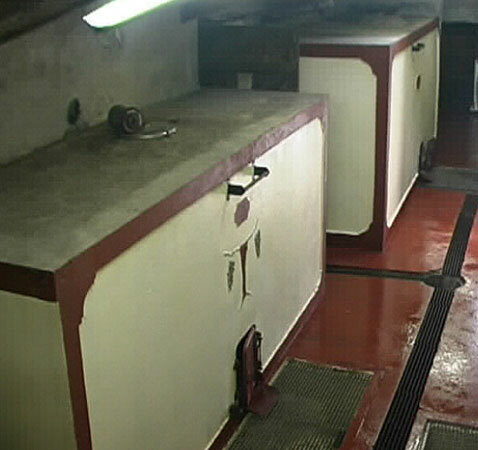 The vats are kept in an isolated and air conditionned shed. 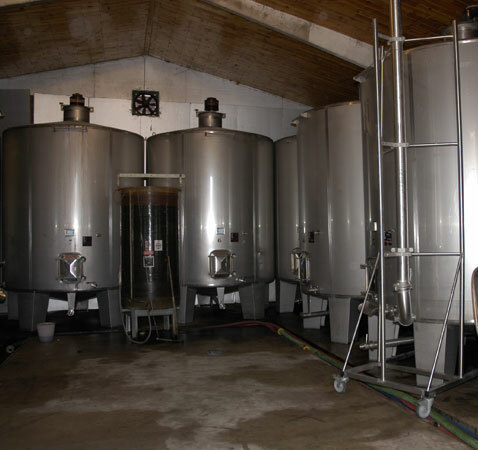 Thus, the maturation process is improved and the stockage capacity is bigger. Every phase of this maturation process is under control to obtain the best quality. To reach the optimum quality, wine maturity requires the same everyday care as for a child. This care is a must when you want to be a member of "les grands crus de Bordaux". This method which is totally particular has been used for centuries and gives the perfect quality.